Christmas is coming - don't forget to be kind to the environment & remember to recycle. We've confirmed our seasonal recycling & waste collections. Please note changed collection days over Christmas week. There's a whole range of events to enjoy and great places to visit across the district. 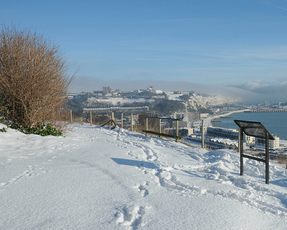 Why not visit Samphire Hoe, one of the areas helped by the Heritage Lottery funded Up on the Downs partnership. From 11-17 Dec, there's a free hot drink for visitors with a National Lottery Ticket, (see details). As we prepare for the winter, we've also relaunched our volunteer snow warden scheme to help people. DDC has given the go ahead for a £500,000 refurbishment of Deal Pier - as the popular amenity celebrates its Diamond Anniversary. Works are set to include resurfacing the pier, replacing all the timber seating, and concrete repairs to the pier structure. 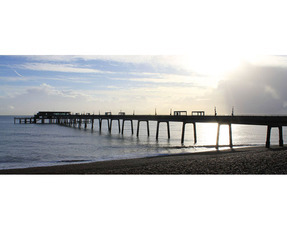 Deal has had a pier since the late 1800s, with the current pier opened on 19 November 1957 by HRH Prince Philip. It remains the last pleasure pier built in the UK. An innovative event to encourage and celebrate the role of young people in our communities was held at Discovery Park in Sandwich in November. The #iwill Show and Tell event was hosted by Dover District Council, working with students from Dover Grammar School for Boys. 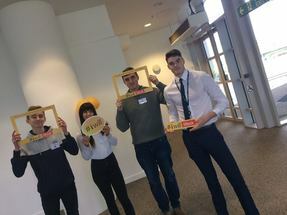 The event was part of a series of events for #iwillWeek, and was held to provide information on social action and volunteering opportunities. We are preparing for an important year in 2018, with events in our communities marking the centenary of the end of WW1. 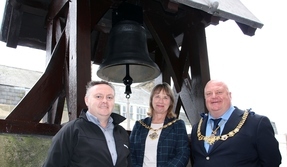 The Zeebrugge Bell has been returned to Dover's Maison Dieu, following restoration and cleaning ahead of the 2018 centenary of the Zeebrugge Raid, which will be commemorated with events organised by Dover Town Council. A big thank you was sent out to everyone who supported the area's Knitted Poppy Appeal. The poppy carpet featured in a range of remembrance commemorations. We've also seen the launch of a consultation on plans for a Commonwealth War Memorial on Dover Western Heights. The consultation runs until 10 December 2017. Construction is underway on the new £26m Dover District Leisure Centre. 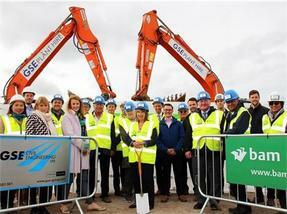 The start of the works was marked with a ground breaking ceremony at the site in Whitfield. The centre will include a competition standard eight-lane swimming pool, a learner pool, four court sports hall, squash courts, multi-function room, fitness gym, fitness studios, clip 'n' climb wall and a cafe. There will also be two outdoor 3G artificial pitches for five-a-side football. The new centre is due to open in early 2019. 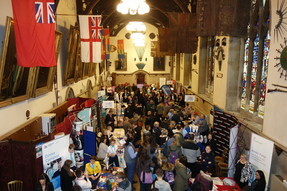 Over two thousand people attended a Jobs and Skills Fair at Dover Town Hall this autumn. 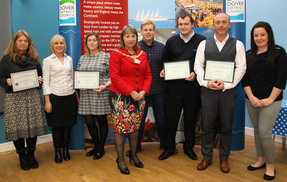 The event was organised by DDC and partners East Kent College, as major regeneration and investment projects start to deliver new jobs and career opportunities. Jobs at the £53m St James retail and leisure development in Dover Town Centre were in strong demand, with exhibitors including Cineworld, Costa Coffee, Greggs, M&S, Next and Shoezone all starting their recruitment campaigns. The St James development is due to open in the first quarter of 2018. Community groups in the area have received more than £22K funding from DDC in the latest round of the Neighbourhood Forum Community Grants Scheme. Grants have been allocated to 28 different groups across the district, including the Deal 2nd Scouts, the Friends of Kingsdown Play Park, Dover Outreach Centre, Shepherdswell Cricket Club, and Sandwich Community Christmas Lights. We all feel the effects of cold winter weather but it can be even more harmful for people with long-term ill-health or those aged 65 plus. There's a range of advice available to help you stay well this winter. Sustainability and Transformation Partnerships are working to help improve health and care services across England. For more information, visit the Kent and Medway NHS website or sign up for NHS email newsletters. Welcome to the latest edition of your DDC e-newsletter. We welcome all comments and feedback - please tell us what you think.